Ulster Historical Foundation has some wonderful and different ideas for Christmas gifts this year. 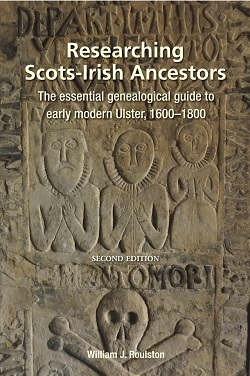 From the hugely popular, recently-published second edition of Research Scots-Irish Ancestors to week-long genealogy conferences and courses, plus their brand new product – ‘Our Family Story: Research Pack’. ‘Our Family Story: Research Pack’. This carefully crafted product can be an exquisite, very personal and hugely thoughtful gift for your loved ones this Christmas –a lasting gift that can benefit the whole family and subsequent generations too. 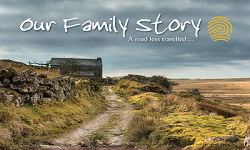 What better way to celebrate family at Christmas than to delve into your family story together. The Foundation has tailored our genealogy conferences and courses to suit all tastes, and levels of experience. Plan your Irish adventure for 2019 with one of our events. This brand new, six-day programme will offer you the opportunity to spend three days learning from the experts and researching in the Public Record Office Northern Ireland (PRONI) followed by the option of three days of touring Ireland’s famous historic sites. Our classic 8-day family history programme (10 days if you include the genealogy essentials course), includes research in the archives in Belfast and Dublin, lectures, and tours to the famous historic sites and cultural attractions. 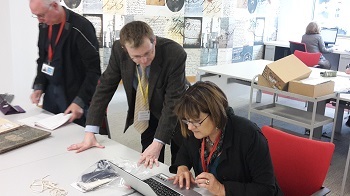 This enhanced research programme offers you the chance to spend a week researching in the archives each day being guided and supported by our team of researchers. In addition to visits to PRONI the programme will also include the National Archives and the Registry of Deeds in Dublin. And to ensure participants get our full attention, the programme will have a maximum capacity of 30 people meaning that you will experience more one-on-one time with our research team.